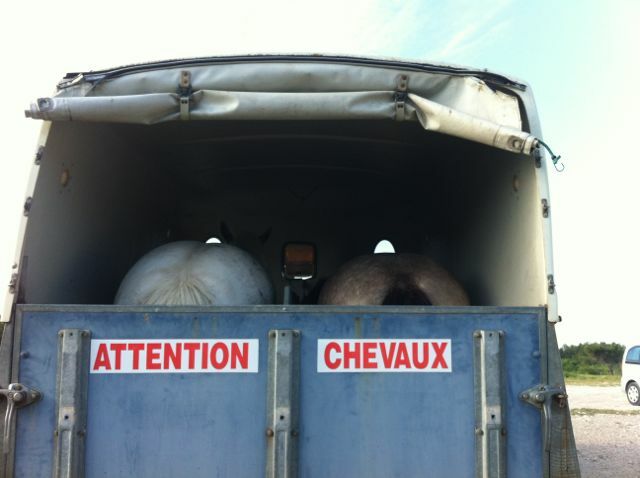 We’re ready to roll – off to Joucas for an Equifeel competition. 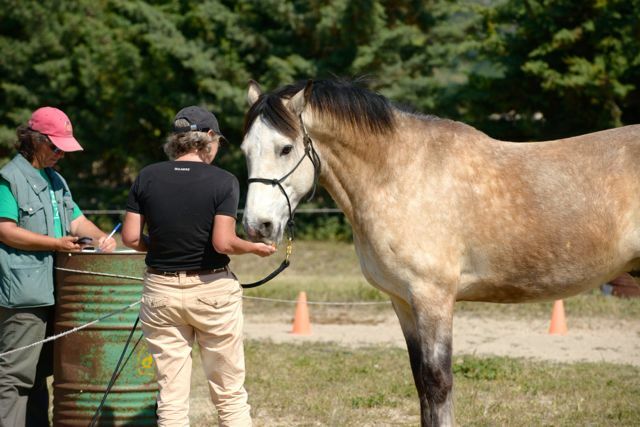 This time I’m bringing Flurry, even though I’ve done more Equifeel training with Aero. My trailer is still not registered here, and as long as I’m relying on my friends for transport, it’s easier to bring the horse that won’t eat his travelling companion (Aero has a little track record in this department. 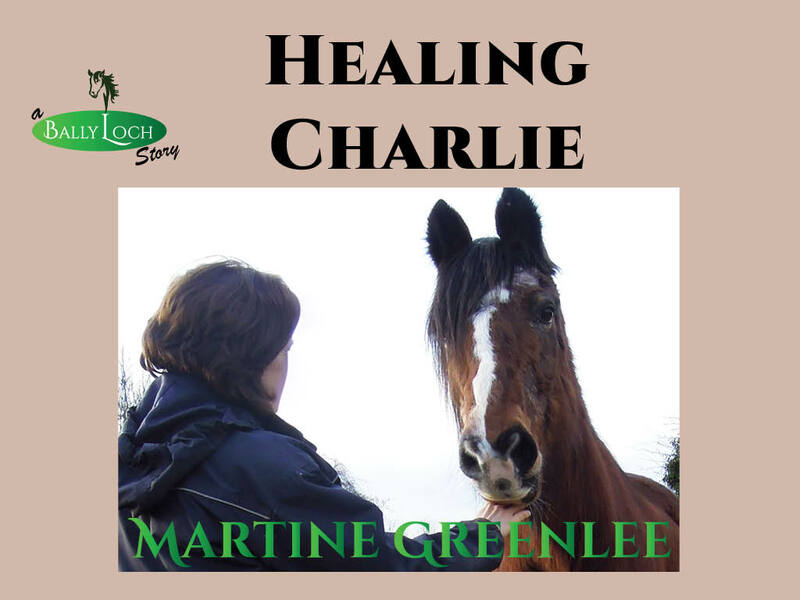 We went to a hunter trials with one of our liveries years ago, in their trailer, and arrived to find their horse bleeding from several bite marks on his neck and Aero standing there with an innocent expression on his face). First thing we see on arrival is two donkeys, and I’m thanking my lucky stars that I didn’t bring Aero! After eighteen months, Aero still can’t walk past Grisou the donkey without a little panic attack. I don’t think I would have been able to capture his attention for long enough to ask him to do anything once he’d seen the donkeys at Joucas! I’m not sure what to expect from Flurry. He’s pretty obedient in a laid-back sort of way, but he’s definitely not the sharpest tack in the box. He’s quite capable of having a complete slack-jawed yokel moment, and end up standing staring at me, going “HUH?” when I ask him to do something. For example, it took him about three sessions to learn to back up – it took Aero one. The first test is the embûche (literally, pitfall). It’s set up in a small lunging ring. It has three obstacles – pass between two blocks placed about 1Metre apart; walk over three poles on the ground; and a small, narrow jump made out of two blocks, so I reckon it’s 140cm wide, 50cm high. I’m the third to go and neither of the first two competitors have managed to negotiate the narrow jump. My hopes are not particularly high, but I’m pleasantly surprised. Flurry pops over it the second time I ask him – good boy! For the rest of the competition, my aim is stick to the easy, 10-point option for each test. (You make a ‘contract’ for each test, 10, 15 or 20 points. 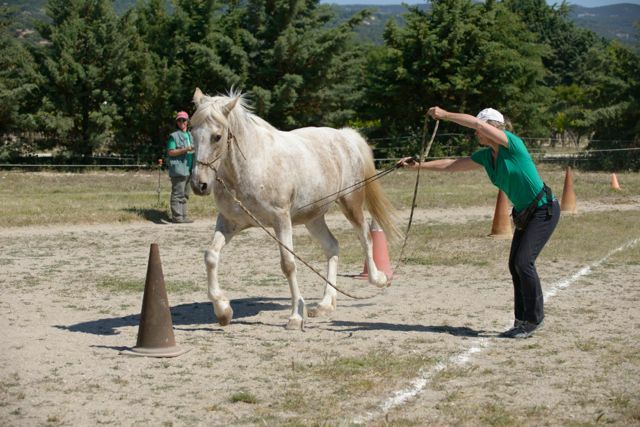 For 10 points, you do it the easiest way possible with a head-collar and lead rope. 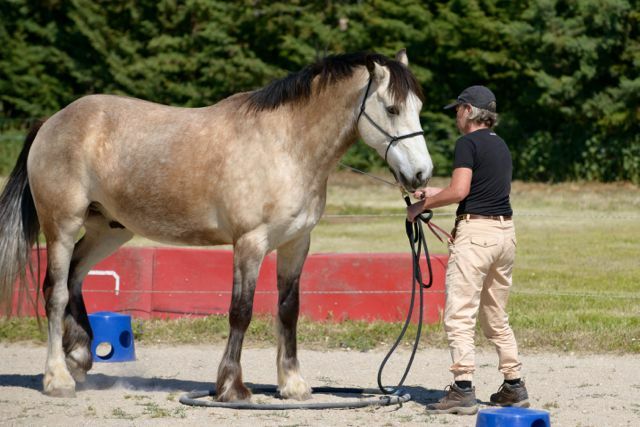 For 15 points, it may be a little more complicated and you do it with a head-collar and lead rope, but the rope is attached via a light elastic. 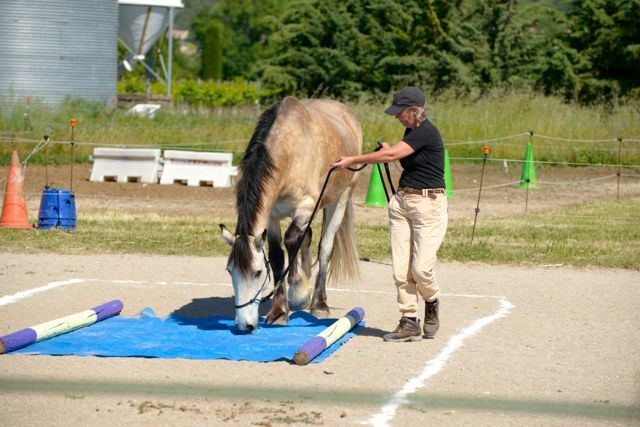 For 20 points, it may be more difficult again, the horse must perform it with no head-collar and you are not allowed to touch your horse). 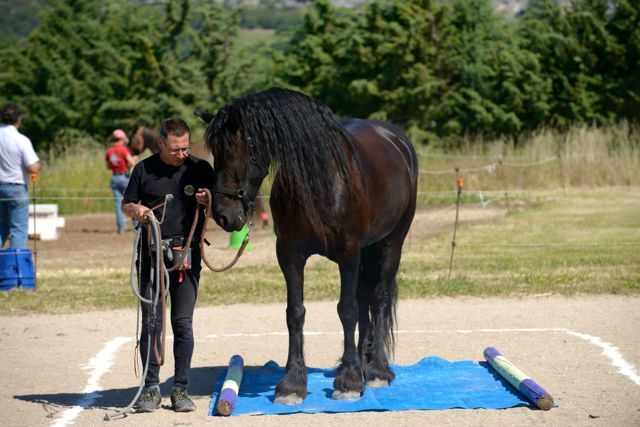 The fifteen point option – the horse must stand on the tarpaulin for five seconds. 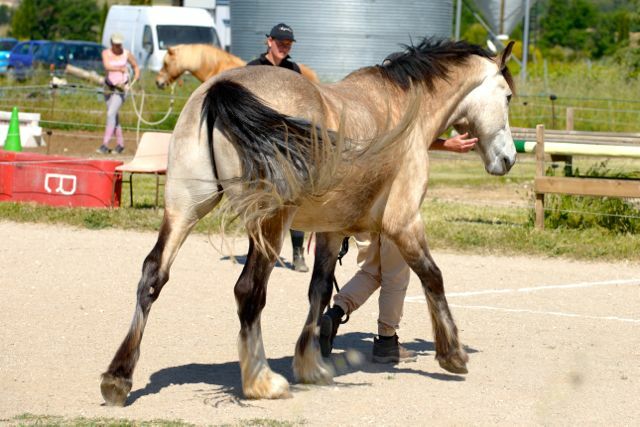 He follows obediently, with just a light touch on his chin, despite the distraction of tufts of grass in the arena. Now I have to put the head-collar back on, while keeping one knee on the ground. Damn, this would be a lot easier if I hadn’t scrumpled the head-collar and lead rope all up together when I took them off! Finally, I succeed, just within the time allowed! My first ever 15 pointer! Clever Flurry! What was that I said earlier about him not being the sharpest tack in the box? Next is the slalom, and after a shaky start, we negotiate it easily within the time allowed. Then the compas, turn on the forehand, while keeping his front feet within a circle. Oops, one foot pops out for a -2 penalty, but he’s done great and I’m truly delighted with him. 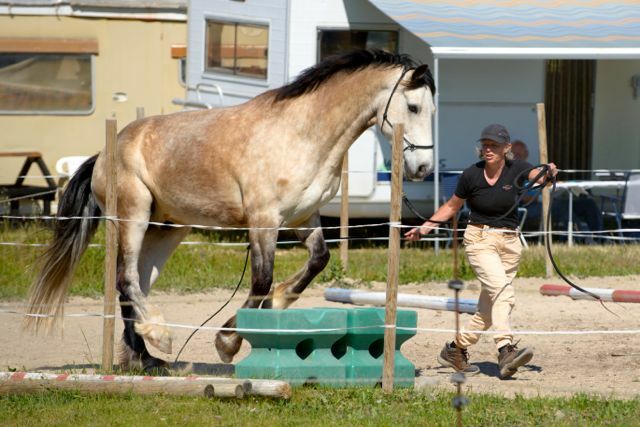 I love this picture but I would love it more if my lead rope was slack. I am definitely hauling him along. More work to do! Finally, it’s time for lots of carrots while the judge makes her notes. We end up a very creditable fourth. I am definitely going to be braver next time and go for a few more 15 pointers. Next time will be on our home turf – Club de Pimayon are hosting the regional Equifeel championships on June 15th! 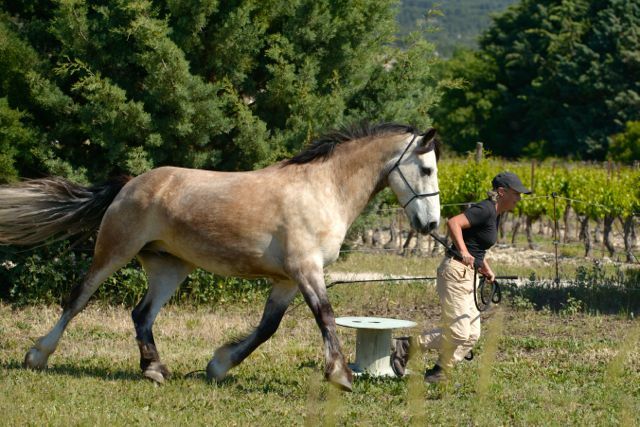 I will compete with both horses and hopefully we’ll have a home advantage mwahaha… Competitive? Moi? 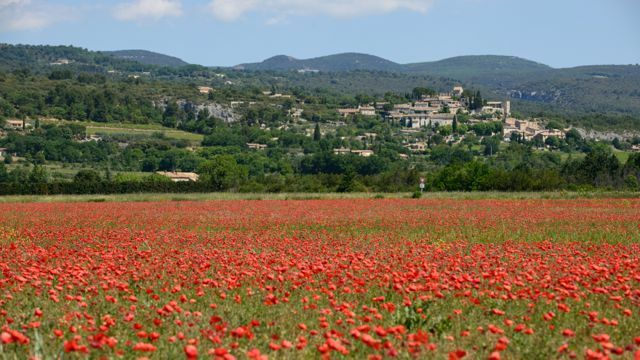 Magnificent site. A lot of helpful information here. I sending it to some buddies ans also sharing in delicious. And certainly, thank you for your sweat! Are u still on Haynet, FM? I lapsed for a while but I’m getting back into it. Would love to hear how you & Finlay are doing. Strange, but great fun reading your blog. Loved the first image. Yay, show report, with pictures! It’s a lot of fun, dee. Maybe next time I come over I’ll run a clinic!